Below is a quick overview of the 3 most popular vans that Travelwheels Campervan Hire Australia rents to customers from all over the world! We speak Deutsch, Français and English! You can call us on 0412766616 or email our camper hire team here. Looking for great deal on 3 Person Campervan Hire in Australia? Travelwheels offers low rates on Australian camper hire. Call 0412766616 for our special offers on our easy to drive, comfortable campers for hire! Wir spechen deutsch and nour parlons Français. We will not be beat on price for cheap campervan hire deals out of Sydney! Out of peak season we beat all Sydney to Sydney Camper Hire quotes, so check out travelwheels when you do your campervan hire comparisons and remember to give us a call on 0412766616. We sell a range of used campervans for sale with 12 months warranty and up to 50% buy back guarantee included in the price. Our range of ex-hire used campervans for sale are great value for money. Fully serviced, deep cleaned and ready to travel around Australia. Call our team on 0421101021 for more info about our used campervans for sale across Australia. Free road trip planners for Australia – planning a campervan hire holiday, and not sure where to start? We have lots of free Australian campervan hire route planners with helpful hints and tips. Click here to view our free trip planner page. Alternately you can check our Lonely Planets useful guide to things to do in Australia here. Sydney to Cairns campervan hire free route planners. Need help planning your Campervan Hire Cairns road trip? Call 0412766616 or email [email protected] for our free guides. Check out our free Sydney to Cairns campervan route planner page here in English, Deutsch, and Français. Check out travelwheels campervan hire free Cairns to Sydney Route Planner to download below. Do you need help planning your Campervan Hire Cairns to Sydney road trip? Call 0412766616 or email [email protected] for our free guides. Check out the Travelwheels free Cairns to Sydney Route Planner here in English. Here is link to the Deutsch, and Français. versions as well. Sydney to Jervis Bay - go see the dolphins! Visiting Jervis Bay to see the dolphins is a must do activity in your Travelwheels Campervan Hire van! Read our free guide with driving directions from Sydney to Jervis Bay below. Click here for free guide with driving directions from Sydney to Jervis Bay to see the dolphins. Travelwheels campervan hire staff have travelled all over Australia by camper, and we love to help you plan your trip with us! You can contact us in English, Deutsch or Français for helpful advice on Campervan hire Australia deals, or buying used car or camper with 12 months warranty. Travelwheels Campervan Hire specialises in good value for money camper hire across Australia. Our friendly team can help you organise the best camper hire holidays across Australia! You can find our Deutsch Camper mieten Australien website by clicking here. Our Français location de van en Australie website is now live as well. You can call us on 0412766616 and we will be more than happy to help organise your campervan holiday with us. Travelwheels campervan hire have depots located near to major airports in Australia. Travelwheels has depots in the following major cites in Australia, Sydney, Brisbane, Cairns, Darwin, Perth, Adelaide and Melbourne. Are you are interested in Camper Hire Sydney deals and are flying in to Sydney airport? Then you are in luck as Travelwheels Campervan Hire could be a good option for you. We are located less than a 10 minute taxi ride from Sydney Airport (domestic) so very easy to get to our base. The travelwheels campervan hire Sydney base is right next to the main two highways heading north and south. Within 5 minutes of picking up your campervan you can be on the road to Brisbane, Cairns. Maybe you are thinking about a Sydney to Melbourne Campervan Hire holiday? Travelwheels Sydney depot is a 5 minutes drive from the main road heading south to Melbourne. Here is a link to Travelwheels Sydney Camper Hire Depot so you can see how close we are to the airport. Long Term Campervan Hire Australia Discounted Deals! Are you are planning a big trip around Australia (we really recommend it)? If yes, then Travelwheels has some special long term camper hire discounted deals! We specialize in 3 to 6 month discounted camper hire deals. Call our team on 0412766616 or Email [email protected] for specials. We will beat all competitor deals for long term campervan hire if they start and finish in Sydney. Travelwheels also sells ex-hire used campervans for sale with 12 months warranty. They have been professionally deep cleaned, stickers removed and ready to go! Call Shaun on 04210101021 for more details! You can view our latest used campervans for sale in Sydney here. If you are looking for a cheap campervan hire relocation deals in Australia, then check out Travelwheels short term campervan hire relocation deals. These are great value for money short term hires. All you have to do is email [email protected] or call 0412766616 for more information. Visit Australia.com useful guide for a Sydney to Cairns Road Trip planner. With so many amazing places to visit in Australia, it can be difficult knowing where to start. Here is a link to a Daily Telegraph article about 10 of the best attractions Down Under. Here is a link to the Lonely Planet’s East Coast of Australia itinerary. This is a great way to begin to explore this amazing country. 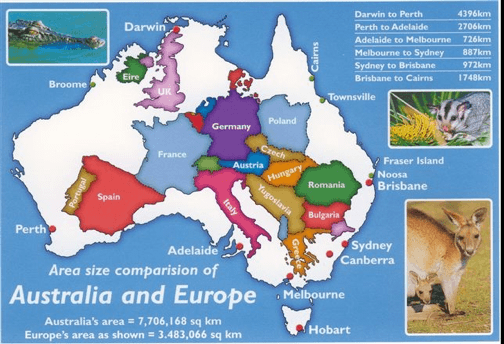 Before you go to Australia advice – this free guide gives you lots of background information on driving distances down under. For example a popular question is how far is Sydney to Cairns and how many days travelwheels campervan hire Australia recommends for this journey? We list all the most popular campervan hire routes in Australia, and the minimum amount of days we recommend to holiday over these routes. Plan holiday to Australia – WHERE DO YO WANT TO GO? The second free travel planner guide for people planning holiday to Australia is called “Where do you want to go” and helps you answer questions such as when is it summer in Australia, weather patterns, and how to avoid having a bad holiday due to the wet season! We have different styles of campervan holidays for those of you that prefer hug the coastline, or maybe you prefer the rainforests, mountains, outback, etc? The great thing about a campervan hire Australia holiday down under is you have the choice to experience some truly amazing places across this magical country. Enter your dates below for our best deals on Campervan Hire Australia Specials. You can always call our team on 0412766616 for more details on our offers available. Our online price checker will give you our lowest rates on camper hire in Australia.